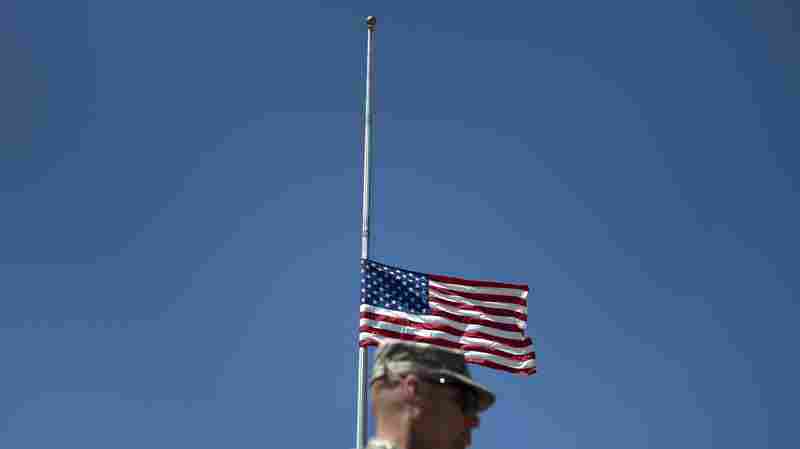 February 6, 2015  The Army had declined to award the honor to soldiers killed during the attack, because it was a "workplace violence" incident. 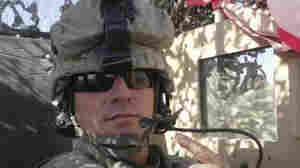 Congress has since tweaked the requirements to grant the Purple Heart. 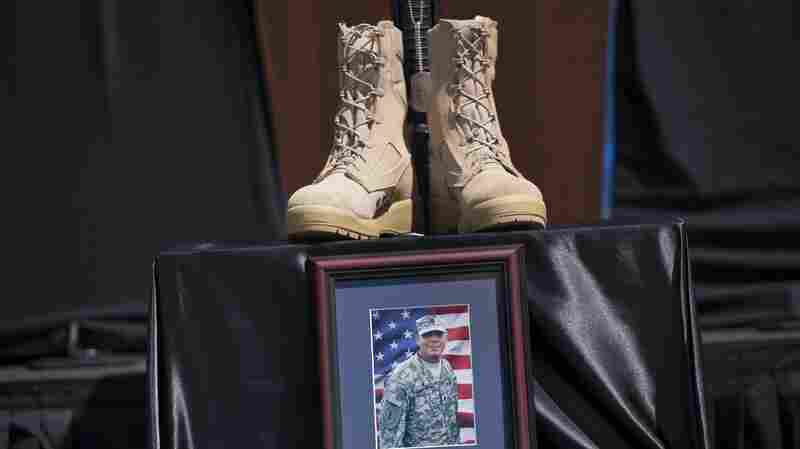 April 9, 2014  For the second time in five years, President Obama delivered a message of resilience and service at a memorial service for slain soldiers at Fort Hood, Texas. April 7, 2014  Army officials say Spc. 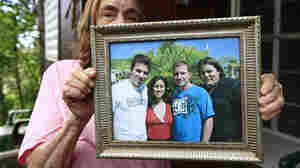 Iván López opened fire after a dispute over his request for leave. Within eight minutes, López allegedly fired 35 shots. 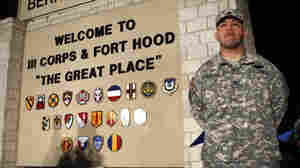 April 5, 2014  The soldier who is believed to have killed three others in a shooting spree at Fort Hood, Texas, reportedly argued with fellow soldiers over paperwork shortly before violence erupted. April 4, 2014  Authorities said an argument may have led to the shooting rampage. The family of Spc. Iván López issued a statement saying they were troubled and surprised by his alleged actions. April 3, 2014  In Killeen, Texas, another mass shooting had some asking, "Again?" 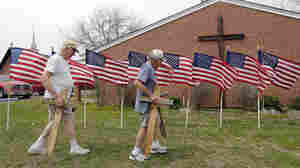 The flags flew at half staff as the community began to pick up the pieces. 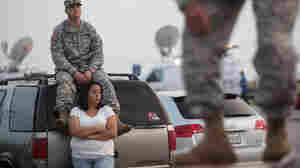 April 3, 2014  The soldier who has been identified as the man who killed three people and wounded 16 before apparently taking his own life Wednesday was an Army truck driver who was being treated for depression. 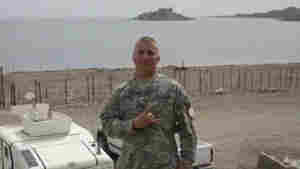 April 2, 2014  The suspected shooter at the Texas Army post is Ivan Lopez, a Pentagon official tells NPR. Authorities say he was being evaluated for PTSD and treated for depression. 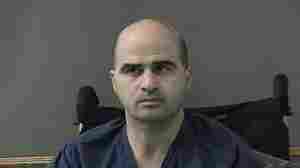 August 28, 2013  Former Army psychiatrist Nidal Hasan was found guilty last week of killing 13 people in a shooting rampage at Fort Hood, Texas, in 2009. During his trial, Hasan represented himself and called no witnesses. 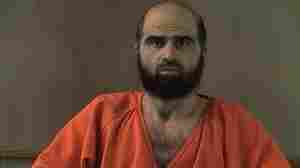 August 21, 2013  The military trial of Army Maj. Nidal Hasan has been fraught with drama. Closing arguments are expected shortly. 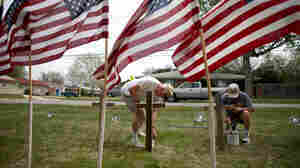 He is accused of killing 13 people during a 2009 shooting rampage in Fort Hood, Texas. August 7, 2013  Maj. Nidal Hasan conceded on the first day of his trial that the evidence will show he killed 13 people and wounded others. Now, it looks like he'll try to use the trial to "vent his religious or ideological beliefs," reports NPR's Martin Kaste. So far, the judge has kept that from happening. August 6, 2013  Former Army psychiatrist Maj. Nidal Hasan is charged with opening fire in a troop processing center at Fort Hood, Texas, and killing 13 people and wounding more than 30 others in 2009. July 2, 2013  Even if he wanted to, Maj. Nidal Hasan was barred from entering a guilty plea to the 13 murder counts he faces in connection with a mass shooting in 2009. The Uniform Code of Military Justice prohibits such a plea in cases that could end with the death penalty. Experts say the code goes to great lengths to protect the individual's rights. August 22, 2012  The military says the beard is a challenge to authority. Nidal Hassan says it's his constitutional right. 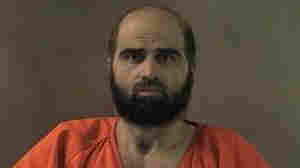 July 6, 2011  Maj. Nidal Hasan is charged with 13 counts of murder and 32 counts of attempted murder for the deadly November 2009 shooting rampage at the Army post in Texas.